“Representing the harder styles in dance music, we got to spread this message to the party people all over the world” is what they proclaimed in the year 2003. And the Alpha² kept their word! For a decade already, these pioneers of the rough and raw sound are spreading their music all across the continents. They delivered best-selling tracks, such as ‘Headhunterz & Wildstylez Vs. Noisecontrollers - Tonight (Alpha² Remix)’ and ‘Rebirth’ (Official Anthem 2012). And then there’s that label: A² Records! It may be clear that Alpha² still consider themselves to be on a mission and therefore, the hardstyle scene has far from seen it all: the Alpha² have been UNLEASHED!! In real life, they were born in different years. In musical life though, brothers Arjen and Anco Timmerman have always been identical twins. Their similar taste in music and mutual agreement show both on stage and in their productions. 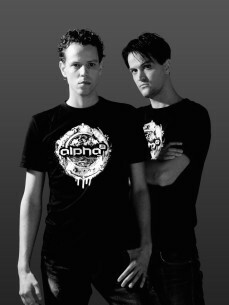 The Alpha² started as residents at the infamous Qlubtempo parties in Zaandam. Their anthem for Qlubtempo, the legendary birthplace of hardstyle music, was the start of a crazy rollercoaster ride. During the years, they played at the biggest events and festivals such as Qlimax, Defqon.1 Festival, Hard Bass, Mysteryland and Decibel. They travelled all over the world, as far as the US and Australia.